Zoloft is a popular brand name of a sertraline drug. It helps to battle depression, and a large number of people all over the world have benefited from its use with varying levels of success. Consequently, the minority that may not find the drug useful for their situation may decide to stop using it. In the same vein, even people who get benefits from the drug may choose to come off it just because they don’t want to be hooked on it for life. However, withdrawal from an antidepressant is not so straightforward, and if a person is not ready for the symptoms that may follow, it could be a challenging experience. What is the Zoloft Withdrawal Process Like? What Withdrawal Symptoms Must One Know About? What Factors Could Influence Zoloft Withdrawal? What Supplements are Best to Manage these Withdrawal Symptoms? What is the Timeline for Zoloft Withdrawal? What is the Best Approach to Zoloft Withdrawal? When a patient suddenly stops using a drug such as sertraline, antidepressant withdrawal will come into play. This is especially valid in situations where the patient has been taking the medication for at least six weeks. The issue will be addressed in more detail further on in this article, but an important thing to note is that some antidepressants have a higher likelihood of causing withdrawal symptoms than others. This article will only be addressing sertraline withdrawal symptoms. The average daily Zoloft dosage used by most people falls within 50mg-200mg. Theoretically, a patient that was taking a smaller dose each day would find it easier to stop using the drug than someone that was taking the maximum recommended dose regularly. Consequently, the Zoloft withdrawal symptoms in the former would naturally be less severe than with the latter. As is with the case with most drugs that exhibit withdrawal symptoms, the longer it has been, the harder it gets. However, there are bound to be exceptions. Withdrawal from Zoloft would be easier for a patient that has only been taking the drugs for a few weeks compared to another that has been on it for years. In the case of the latter, withdrawal side effects of Zoloft will be stronger than with the former. According to study published on NCBI, SSRI withdrawal symptoms can appear up to 90 weeks. The best detox approach to withdrawal from antidepressants is to do it slowly. It is not advised to go cold turkey as this may harm the body system instead of repair it. sertraline withdrawal is no exception to this rule. It is advisable to taper off slowly by reducing dosage strengths over the course of a few weeks or months, giving the body system enough time to adapt to the change. If the patient stops suddenly, the body is likely to exhibit severe symptoms of Zoloft withdrawal because it is in a state of confusion. It has become accustomed to receiving doses of the drug, and a sudden habit change would be harmful. The physiological nature of the patient also plays a part in perceived recovery timelines. Some people naturally exhibit a level of resistance to withdrawal symptoms from drugs, and they may not even experience any sertraline withdrawal side effects. On the flip side, the physiological nature of some other people ensures that they react extraordinarily to withdrawal from these types of drugs. All of these factors can influence the severity or timeline of withdrawal symptoms from Zoloft. Different sources will give different advice about how to wean off Zoloft. With that in mind, it is fair to point out the fact that some people will still need some extra help in managing these symptoms when they do show up. This is where supplements come in. The patient needs to identify if the Zoloft detox process is complete or if it is still in progress. If it is complete, then it is okay to use supplements. However, patients that are still tapering off are advised to resist the urge to use supplements because they may interfere with the antidepressant drug itself. A consultation with a qualified doctor should provide information about which supplements may interfere with antidepressant medication. Additionally, people that are on medications involving other drugs may not feel the full effects of withdrawal from antidepressants. It means that care needs to be taken to make sure that none of these drugs interfere with the supplements that are taken, although the need for them is already reduced. If withdrawal is going smoothly, supplements may not be necessary. They should only be used in cases where the patient is having difficulties with withdrawal. Proper dosages must be adhered to when taking supplements. Too much or too little could have adverse effects on the entire situation. Taking into account the sertraline withdrawal schedule, it is advised that a patient should only take the minimum required dose needed to help with the withdrawal symptoms. 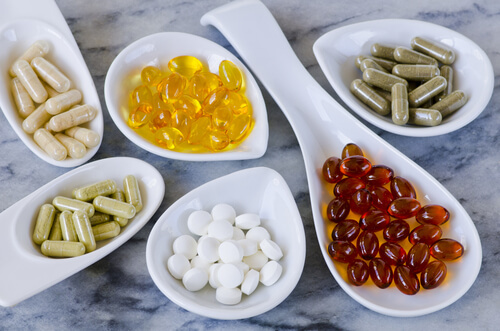 All of these supplements have varying doses which would affect the duration that the patient is expected to take them for. The important thing is to take the right dose – don’t go overboard or under-compensate. Don’t drink any alcohol with sertraline or consume marijuana while you are on Zoloft withdrawal therapy. Just like the severity of the symptoms, the Zoloft withdrawal timeline varies from person to person. For some people, the symptoms are not exhibited until a few weeks after the last dose of the drug was taken. For other people, they have gone through the symptoms and overcome them within the same period. Day 1-3: the first few withdrawal symptoms show up. For users that are tapering off gradually, the early symptoms are usually mild. Day 4-5: the symptoms increase in number and/or intensity. Symptoms such as vertigo, nausea, and fever may be included. Naturally, patients that have been ingesting higher doses of the anti-depressants will have the most intense reactions at this stage. Day 6-21: during this period, the symptoms usually hit their peak and begin the gradual process of subsiding. Most antidepressant drugs have a withdrawal timeline that cycles through within three weeks, and Zoloft is no exception. Day 22 and above: depending on other factors, some patients may experience a longer withdrawal timeline than is the norm. How Long Does Zoloft Withdrawal Last? Zoloft is one of the anti-depressants with longer half-lives. This means that sertraline effects longer in the patient’s body for a more extended period than short half-life antidepressant drugs. According to the study conducted by the Food and Drug Administration department of the U.S.A, the average half-life of Zoloft starts from 26 hours depending on the strength of the dosages. What is the Best Way to Withdraw from Zoloft? It is highly recommended to the patient to taper off the drug gradually. Do not suddenly stop the dosages in a single day. Reduce the strength of the doses day-to-day until the lowest dose possible and then stop. For best results, it is recommended that patients who are looking for the withdrawal process to consider registering with a rehab program. Especially for older people, teenagers or pregnant women who are included to Zoloft high-risk groups. The positive effect that deals directly with people who completely empathize with the situation cannot be overstated. Additionally, they will be able to provide more information and insight into anything else that the patient may need help with. If you or a loved one needs consultation about the effects of Zoloft withdrawal, or how you can successfully taper off the drug, reach out to us through (888)-459-5511. All calls are kept confidential. Hi-My name is Ana. I decided to stop taking Zoloft 60 days ago. I’m still suffering the withdrawal effects. This is horrible. How long does it takes to take this drug out of your body? I was taking the max dose for more than 5 years. Please help.